Fab Bag! 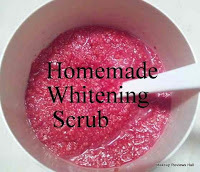 This is the word on the lips of beauty lovers and those very particular about their skin care routine. 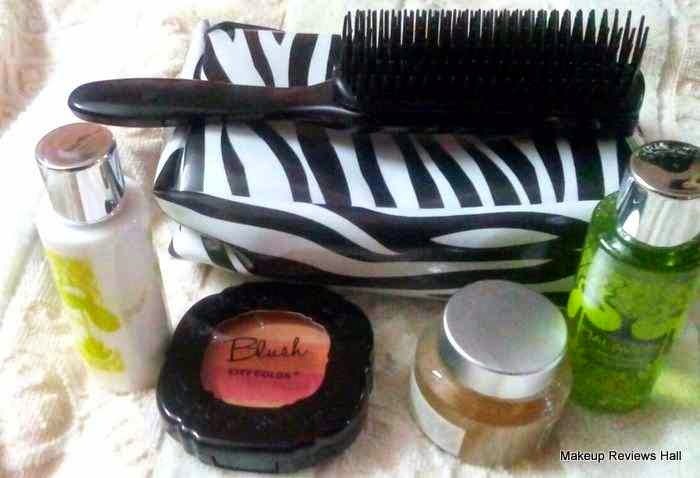 I have already reviewed last month's Fab Bag and now it's time to reveal the APRIL FAB BAG. 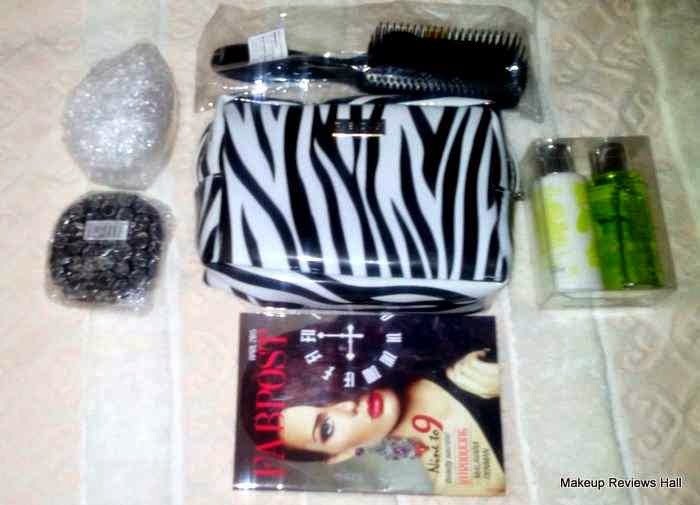 As I have mentioned in most of my posts what really excites me to wait eagerly for the bag is that pretty design of the bag which changes every month and the versatile, new, unique makeup and beauty goodies sent in the bag. The pretty bag and the new stuff inside the bag makes this surprise very beautiful and awaited. 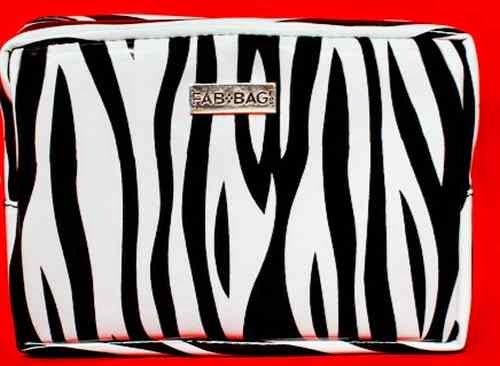 Let's take a look at this beautiful Zebra Printed Fab Bag April 2015. Malawara Shower Gel - Rs 300/- for 60 ml. Malawara Body Lotion - Rs 390/- for 60 ml. 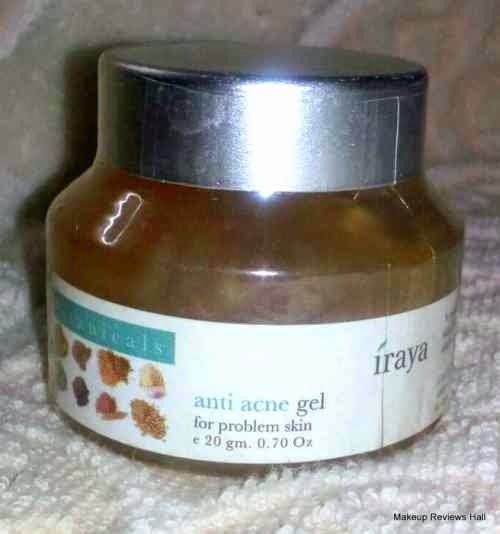 Iraya Anti Acne Gel - Rs 325/- for 50g. 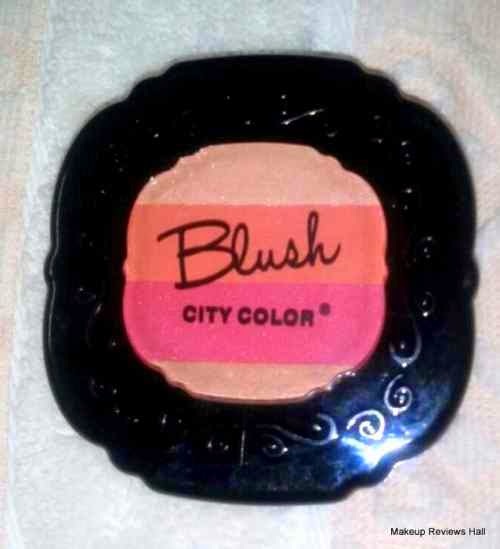 City Color Blush Quad - Rs 500. The very first thing that made this April bag extra special is this cute Zebra printed design pouch. Another thing which came as a surprise was this hair brush which was sent separately in the box because it could not fit in the bag. I really like this quality of Fab Bag Team, that they don't just send you any of the stuffs and products simply for the sake of sending but take proper care according to one's needs and even manages to send the products beyond the size of the bag, like this time it's this Denman hair brush which took a special place in the box outside the pouch because of its slightly bigger size. This volumizing hair brush from Denman is a nice sturdy brush for combing and detangling your hair smoothly. I was missing a nice hair brush in my vanity bag since long and I'm happy that I got this volumizing one. This hair brush not only helps in detangling hair but also looks stylish to hold. I have not yet used it properly so can't comment on the volumizing effect of this. I would be doing a detailed review of this soon. This Malwara shower gel has come at just the right time. The summers are on their extreme and I was thinking to buy a new refreshing shower gel to pamper myself with a cool body wash in this extremely hot season and here comes this body wash as a rescue. Stay tuned for the detailed review of this. 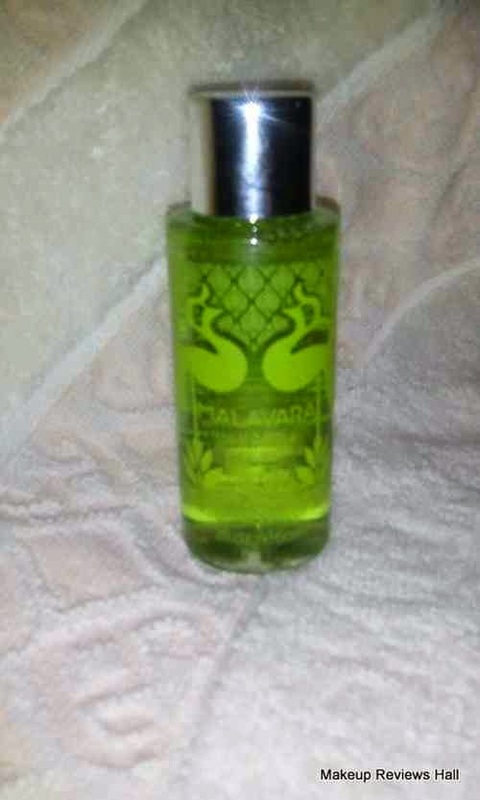 Similar to the body wash there is a Malwara citrus body lotion. I felt so good to receive these products in citrus fragrance because this is one such fragrance which could refresh and revive you all over even in the hot tiring summers. So I really like the fact that fab bag team takes care of the seasons as well while sending the products. 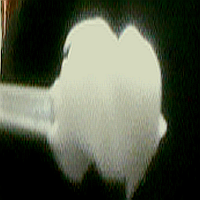 Another product specially meant for summers. 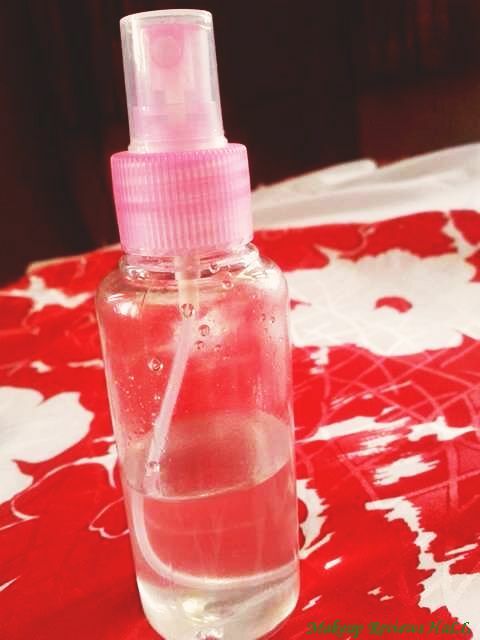 I am a girl with sensitive acne prone skin which aggravates even more in summers because of the highly active sweat glands. This Iraya Anti Acne Gel comes in a jar packaging and appears to be somewhat like a fruit jam with a touch of fruity fragrance. 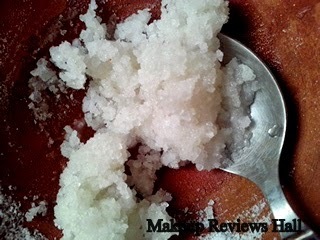 I will soon update it's detailed review for its overall effectiveness. 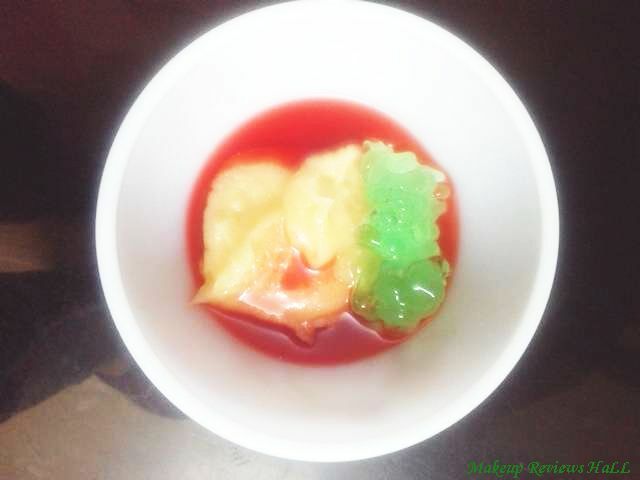 Here comes the best product of this month. This Blush in multiple shades. I really the shade pattern of this Blush very much. 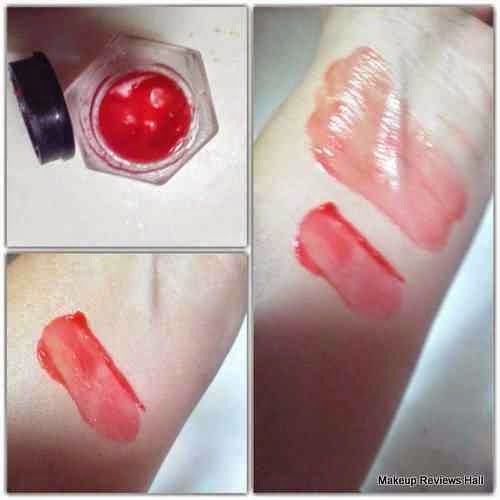 It has that rosy pink, peachy glow and the natural for different makeup look. I remember last month I requested fab bag team to send me more peach and red shade products instead of pinks, since I personally don't like pink too much and I am happy they have sent a quad shaded blush this time with the mix of pink, peach and naturals. I will be reviewing this quad shaded blush in detail very soon. So this was all about April Fab Bag 2015 and it's products. I hope by now most of you would have realized the importance of this fab bag in our life. 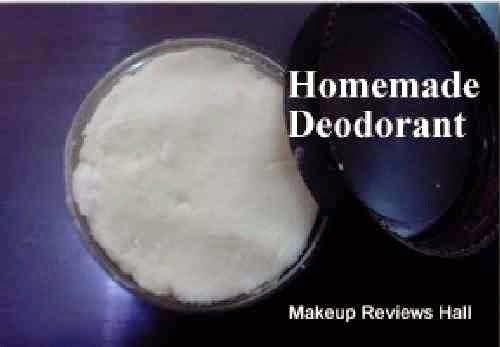 This has become one of the best things of my life specially after seeing the professionalism of their team, they not only send you customized products as per your skin type and likeability but also takes care of different seasons while sending the products and I truly think this is highly commendable.